Early Registration: $100 for members and non-member guests. Tables are available for $750. Please contact the Chamber for more information about becoming a table captain. 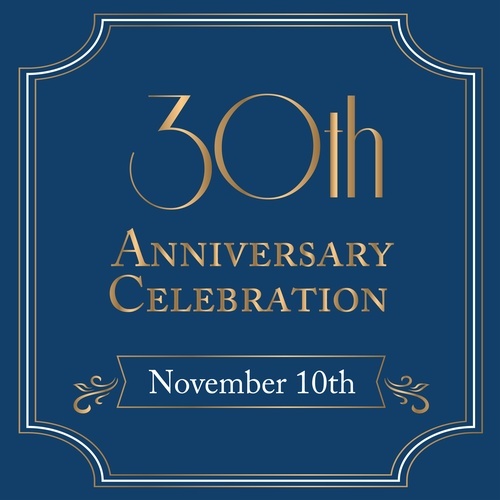 The Chamber is celebrating it’s 30th year serving the communities of Burien, Des Moines, Normandy Park, SeaTac, and Tukwila. 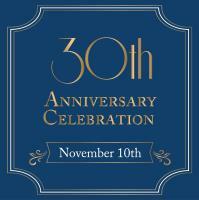 Join us at our 30th Anniversary Celebration on Saturday, November 10th at the Seattle Airport Marriott! At this fun and festive celebration, we will be taking a look back at the successful work we’ve done in the community while also looking ahead into the future of the organization through the work and programs directly supported by the Success Foundation. Proceeds will benefit the Success Foundation. The Success Foundation, a charitable enterprise of the Seattle Southside Chamber of Commerce, was established in December of 2017 and is dedicated to the success of Southwest King County via education, workforce, and community engagement and development.